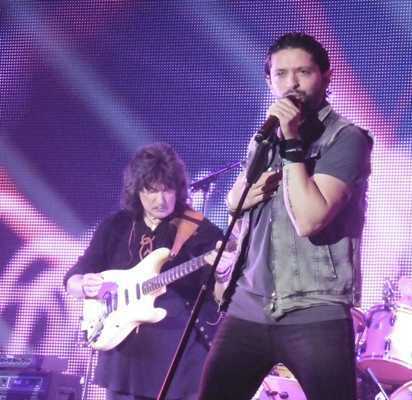 It was 12 months ago, almost to the day, that guitar legend Ritchie Blackmore returned to a UK stage – Birmingham's Genting Arena – for an evening of Deep Purple and Rainbow anthems. 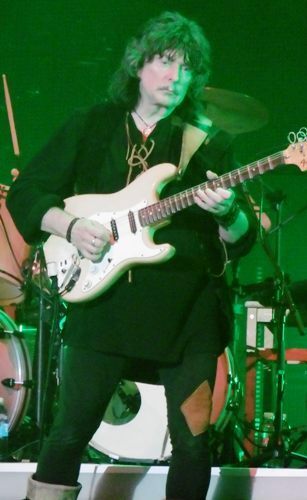 For the previous 19 years Ritchie, a founder member of Deep Purple and Rainbow, had concentrated on making Renaissance and medieval-style folk music with Blackmore's Night, largely ignoring his Hard Rock past. 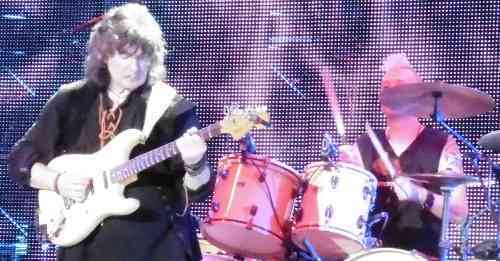 It was a glorious gig – and on June 28, 2017, 72-year-old Ritchie and his Rainbow mates returned to Birmingham for an encore performance. 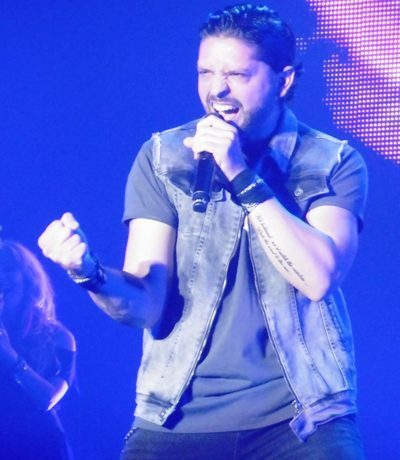 There is not yet any new material from the band, just re-recorded versions of Land of Hope and Glory and I Surrender, but the faithful were rewarded with two hours, 15 minutes of fan favourites and some unexpected treats. After the new version of Land of Hope and Glory, played over pictures of tickets of past Rainbow concerts projected on the large screen at the back of the stage, had heralded the band's arrival, vocalist Ronnie Romero launched into a sizzling Spotlight Kid before adding his own touch to I Surrender and Purple's Mistreated. Following near-perfect renditions of Since You've Been Gone and Man on the Silver Mountain (with a snippet of Woman From Tokyo) it was obvious the material made famous by previous Purple/ Rainbow vocalists Joe Lynn Turner, Graham Bonnet, David Coverdale, the late Ronnie James Dio and Ian Gillan was in safe hands. 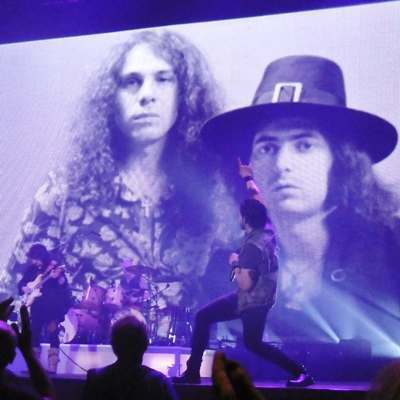 Photographs of the original Rainbow line-up projected on the backdrop during Man on the Silver Mountain was a nice tribute but Ritchie obviously thinks he's uncovered a winner in Chilean Ronnie Romero. After a show-stopping Soldier of Fortune he even wiped the perspiration from the singer's shirt! There were more highlights – Child In Time had the whole arena joining in, Stargazer took the gig into the stratosphere and Lazy - with a blues intro - was a welcome surprise. 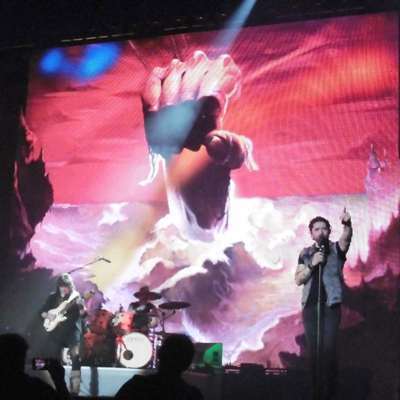 Another high point was Carry On Jon, Ritchie's guitar instrumental dedicated to the late Jon Lord, keyboardist in Purple, complete with projected photos on the big screen. Keyboardist Jens Johansson's prog rock/ classical solo during Difficult To Cure was too long but the drum solo, that other rock standard that signals a dash to the bar, was enlivened by Ronnie joining drummer David Keith for a percussion duet. Ritchie has a reputation for being moody and just a bit grumpy. 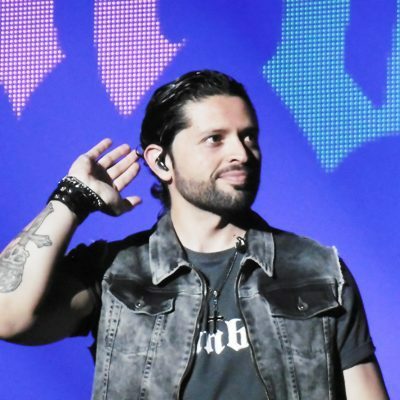 Okay, he rarely smiled during the show and, while Ronnie ran round covering as much ground as he could, remained mainly static centre-stage, but throughout he joked with the band, handed cups of water to the front row and initiated a running joke towards the end of asking fans close to the stage what they wanted to hear next. And was it because of a senior moment that he messed up one of the most famous riffs in rock history during show-closer Smoke on the Water? Or his way of signalling that he won't be playing that song ever again? After all, his next tour is around Europe with Blackmore's Night, until August 19, 2017.